What’s so Special About Pinterest? From a content marketer’s perspective, Pinterest pins are like fine wine; they get better over time. Studies show that pins have an average half-life of 151,200 minutes, whereas tweets and Facebook posts have 24 minutes and 90 minutes, respectively. This means your pins continue to generate traffic to your website while your other social media posts were already swallowed by all the noise. Another thing about Pinterest is that it’s constantly evolving to cater to online shoppers. 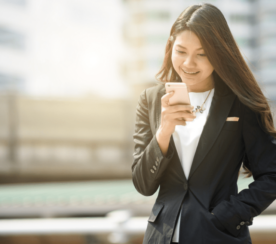 Last year, we saw the roll out of new features that boost sales and improve a brand’s ability to reach the right audience. 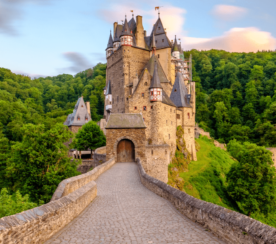 The only challenge now is for you to learn how to leverage the platform correctly and make the most marketing and SEO value out of your efforts. First things first, you need to set up your Pinterest account the right way. You shouldn’t worry about making it look branded since most users actually prefer following brands instead of just popular people. To take advantage of Pinterest’s brand-building features, make sure you join as a business or convert your existing account into a business page. Don’t forget to confirm your website so you can keep track of what users are pinning from you. Once confirmed, users will see your logo, site URL, as well as a clickable “Visit” button in pins from your site. Before you publish pins, you must first understand what boards are and how they work. 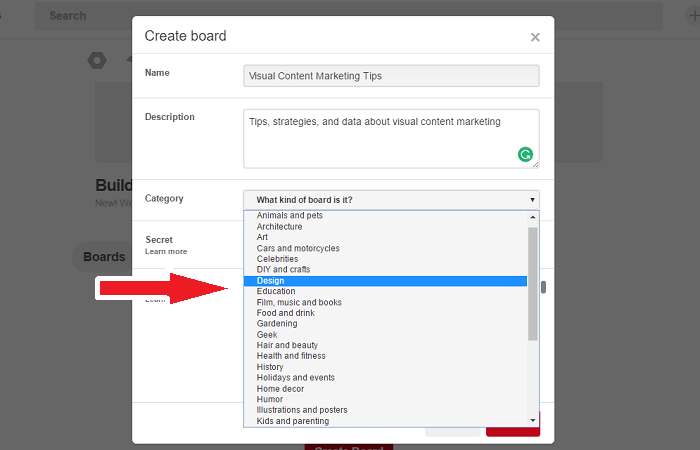 In Pinterest, content creators can use different boards to categorize pins. This will make it easier for your audience to find the pins that align with their interests. For example, a food brand may create different boards for entrees, desserts, and home cooking tips. There is no limit to the number of boards you can create, as long as there’s a clear distinction between the pins that are published in them. It’s a lot like creating different blog sections in your website. To get started, click on Create Board at the bottom of your Pinterest profile. Remember to use keywords in your board title and description to help your target audience find your pins. To look for potential keywords, a straightforward strategy is to use the built-in search feature to know what Pinterest users are looking for. You can also specify a category for your board to further improve its discoverability. The key to creating the right boards is to understand your audience and develop different audience personas. These should cover demographic information such as their age, level of income, employment, gender, hobbies, and interests. Pinterest relies heavily on visual content to keep the audience engaged. However, there’s no room here for generic stock photos, copy-pasted memes, and simple screenshots. If you want your brand to stand out, you need amazing visual content that your followers will be thankful for. By exploring other Pinterest boards, you’ll see that most popular pins consist of “real” photographs and graphics. This means you need to take your own photos or produce your own graphics to earn more followers. Infographics make use of imagery, data, and text-based information to keep the audience hooked from start to finish. They can be used for just about anything – from presenting timelines to outlining step-by-step instructions. Infographics are perfect for Pinterest users because they can provide valuable information while being visually appealing at the same time. They also typically use a tall format, which makes them ideal for smartphone and tablet users who can scroll through them with ease. In addition to using them for Pinterest, featuring infographics on your blog is also one of the best link-building techniques you can use for SEO. Not only are they highly shareable in social media networks like Pinterest, but infographics are also known to generate more backlinks than your average blog post. An image doesn’t have to be a full-blown infographic to include text. Pictures with a clear message are also effective in connecting with Pinterest users and generating more engagement. The main advantage of descriptive images over infographics is that they’re a lot easier to make. All you need is a tool like Canva, a beautiful background image, and something important to say. 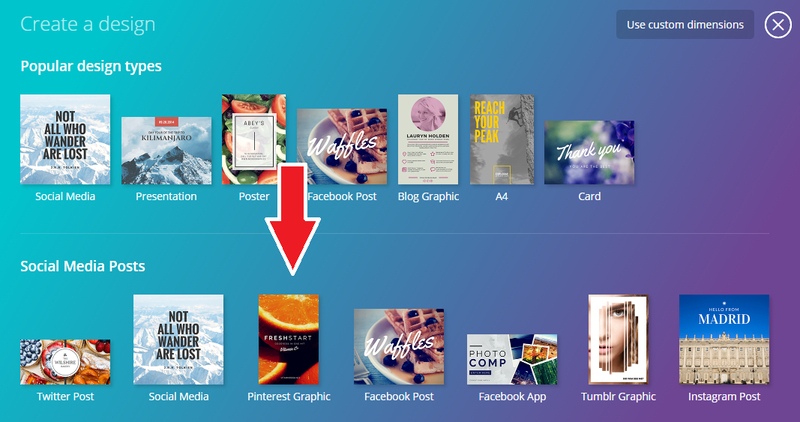 Fortunately, Canva already has a preset layout for Pinterest pins. 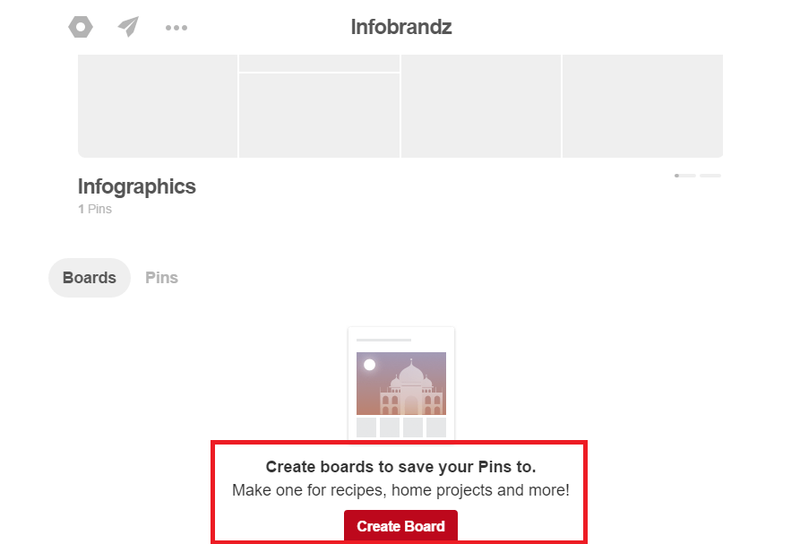 In the “Create a design” page, simply choose Pinterest Graphic under the Social Media Posts category. You can play around with different visual elements, text, and layouts to design your own descriptive image with Canva. 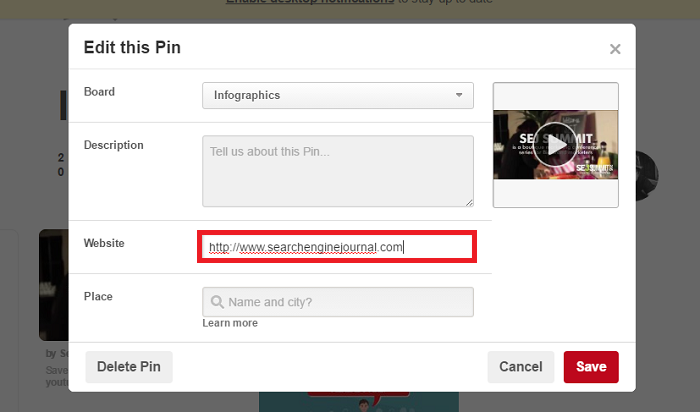 When done, you can easily download your image and pin it to your Pinterest account. In the right hands, video content is arguably the best in audience engagement because it incorporates sound along with visual elements. Although they are usually harder and more expensive to make, videos are very effective in building trust and driving traffic to your site. Just take note that you can’t upload your video clips directly to your Pinterest account. Instead, the file must be hosted on an external platform like YouTube or Facebook Live. On the plus side, this will allow you to focus on your presence in other networks as well. Remember that if you truly want to establish an authoritative brand, you must leverage every digital touchpoint you can access. Aside from pinning via URL, a faster way to pin videos is to install the browser button extension. With this extension, you can simply go to the video’s URL and click on the “Save” button in the extensions area of your browser. You now have the option to save the video into one of your boards. Alternatively, you can create a new board for your video pins. Take note that you can edit the website’s URL without affecting the pinned video for branding purposes. This will change the “Saved from” field in the actual pin. The pin will now display SEJ’s website as the source instead of YouTube, which is where the video file is hosted. Adding animated GIFs in your social media strategy might sound gimmicky, but it’s actually a great way to build a more approachable brand image. 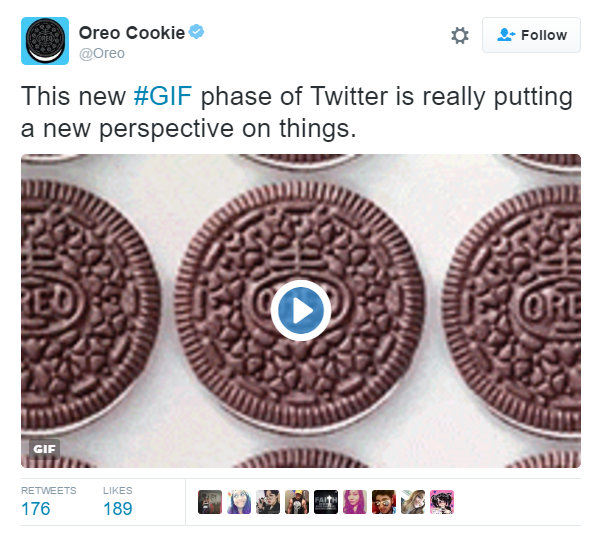 In fact, even big brands like Coca-Cola and Oreo receive a positive response from social media users for using GIFs. GIFs can be pinned via the URL or uploaded straight into one of your boards. The real challenge is creating something that will entertain your followers. Rich pins utilize metadata to provide more interaction and information to your audience. Right now, rich pins can be used for apps, movies, recipes, products, places, and articles. For example, product rich pins can contain information on pricing and store availability. App rich pins, on the other hand, have clickable “Install” buttons that allow users to install your app without leaving Pinterest. Get the appropriate metadata for your content (app, product, recipe, etc.). Paste the code in your page’s head tag and edit the content areas accordingly. Use Pinterest’s URL validator tool to verify your rich pin’s integrity. After the steps above, choose whether you’re using HTML tags, oEmbed, or Shopify. 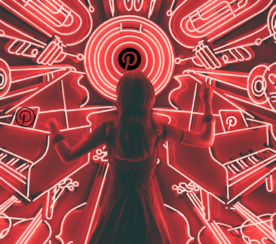 Rich pins are 82% more likely to be re-pinned by users than regular pins, which is why they’re essential if you want to maximize your social media presence through Pinterest. 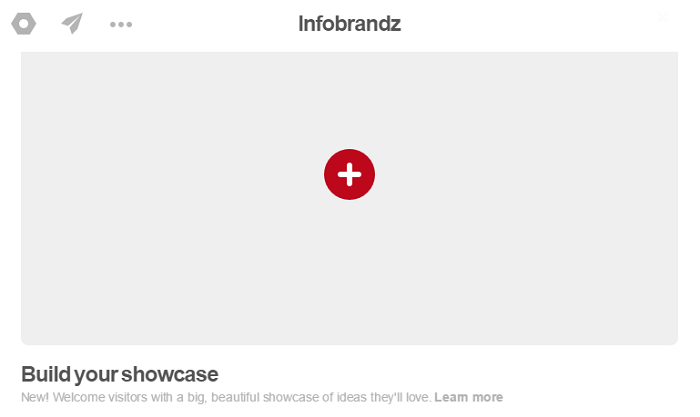 In a recent update, Pinterest now allows business accounts to create a rotating showcase. You can use this to highlight your best boards and capture the attention of new visitors. To build your showcase, simply click the red plus button in your business profile. 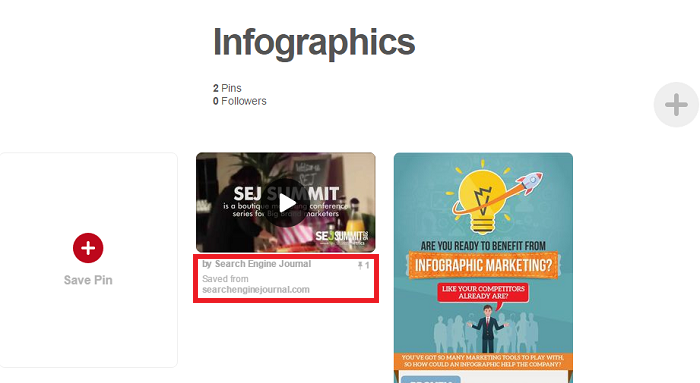 You can showcase up to five boards in your Pinterest account at a time. Choose wisely and pick the ones that reflect what your brand is about. Just like other social media networks, Pinterest requires you to interact with your audience to maximize engagement. This means you have to respond to comments, follow popular boards, and leave your feedback in your followers’ popular pins. You should also make it easy for your audience to pin content from your site. 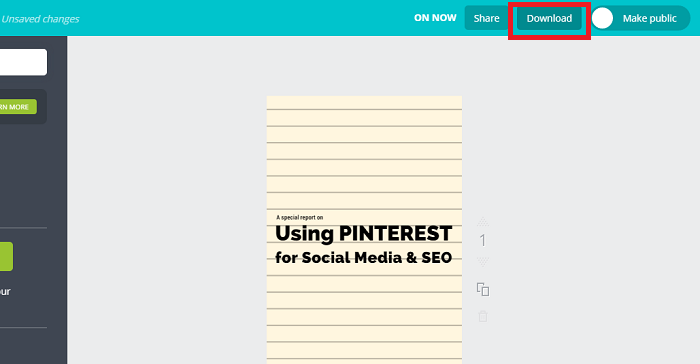 For this, you can use Pinterest’s own widget builder to integrate a “Save” button straight into your content. Building your social media presence on Pinterest requires a ton of creativity. Hopefully, the ideas above are enough to get your creative juices flowing. 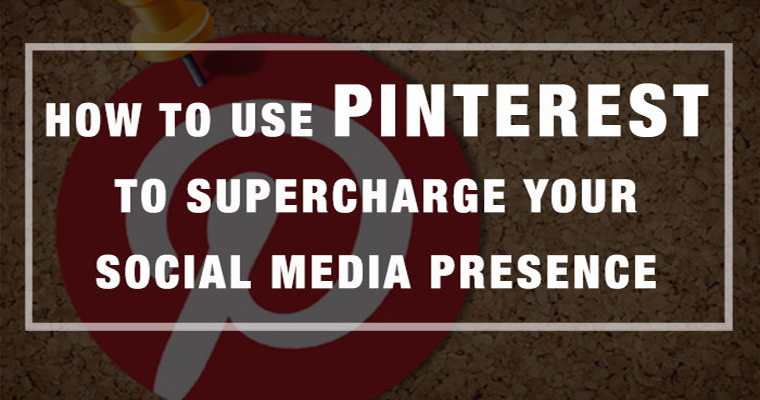 Do you have other ideas on using Pinterest to maximize your online presence? If so, feel free to share on social media! Screenshots by Vikas Agrawal. Taken January 2017.